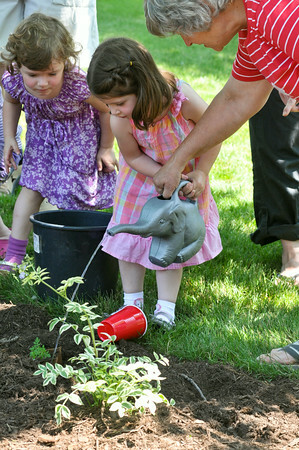 James Neiss/staff photographerNiagara Falls, NY - Pre-K student Anna Cumbo, 4, from The Children’s House at the Youngstown Presbyterian Church, waters a plant she just planted in the Youngstown War of 1812 Bicentennial Art of Peace Garden at Faulkner Park. The garden will be formally dedicated on August 20th. This ceremony will establish the fourth official War of 1812 Bicentennial Art of Peace Garden in Western New York.